2017 In A Sentence: With an offense that produced over 39 points per game, Ohio looked poised to make the MAC title game but two unexpected losses (to Akron & Buffalo) to end the season had to settle for a second place mark in the MAC East but did salvage a bowl win over UAB in the Bahamas Bowl to finish 9-4 overall. 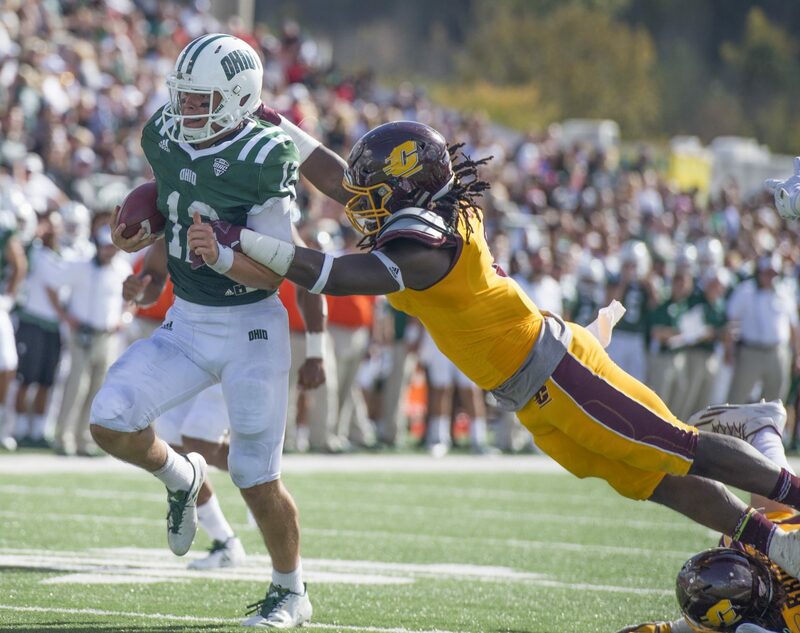 Biggest Shoes to Fill: LB Quentin Poling was a First Team All-MAC linebacker for the Bobcats this past season and led Ohio with 107 total tackles and 49 solo stops. Poling also led the team with 5.5 sacks, 12.5 tackles for loss and three forced fumbles. Poling holds Ohio records in career solo tackles (221) and career tackles for loss (44.0). He was selected in the 7th round in the NFL Draft by the Miami Dolphins. Key Player: QB Nathan Rourke took over the Bobcat starting job in the third game of last season. The dual-threat now-junior threw for 2,204 yards, 17 touchdowns, and 7 interceptions. But he may have been more prolific in the running game as he rushed for 992 yards and an Ohio record 21 scores. He will need to keep these kinds of numbers up this season to keep Ohio in the running for a MAC East Division and possible overall MAC title. 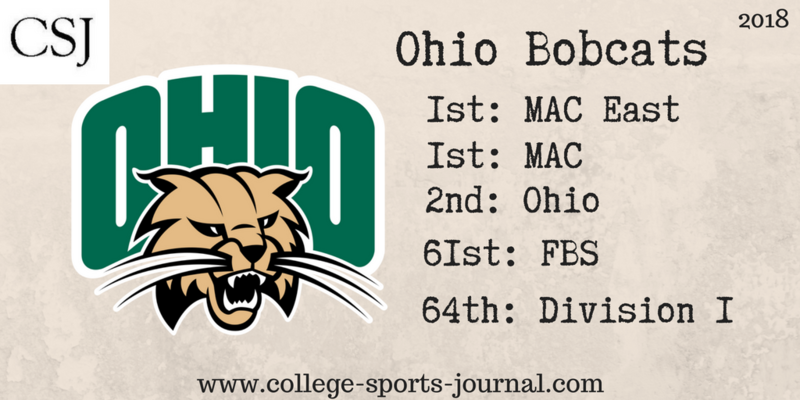 Fearless Prediction: With its outstanding offense and improving defense, Ohio should be the favorite to win the MAC East this year. And Ohio looks like it is the class of the full MAC and will be to see if it can end the program’s MAC championship drought–something this program has not done since 1968.